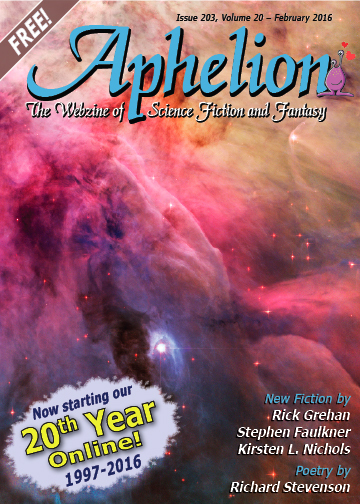 Aphelion • View topic - The February issue is now live! Re: The February issue is now live! Love the deep-space photo on this cover. Sometimes I think the Hubble Space Telescope has helped art more than science in its color-picture-gathering quality of its photos taken of the universe. Just think about how stunning and captivating its images from space are. I love them! And I’m sure the scientists studying pictures from Hubble, have better results because it’s easier on the eyes and senses studying astrophysics with a background of beauty rather than bland-old-black-and-white photos that we once used.